UKC makes every attempt to maintain an accurate and up-to-date Notice of Suspension list, and the list is updated regularly. However, as there may be lag time between disciplinary action and adding an individual to the list, and also because mistakes and omissions can and do happen, UKC will not guarantee the accuracy of this list. If an individual is in question, customers should call UKC directly to obtain the most up-to-date information regarding that individuals disciplinary status. UKC can only confirm or deny a persons disciplinary status and cannot provide details on that persons case. They are barred from registering any dogs in their names (joint or individual ownership). They may, however, transfer any dogs currently registered in their names (joint or individual ownership) to another individual(s), except they may not transfer dogs to any member of their families, spouses, or companions. Companion is defined as anyone who resides at the same address as the suspended individual. They are barred from registering any dogs in their names (joint or individual ownership) and they may not transfer any dogs currently registered in their names (joint or individual ownership). They are barred from registering any litters and from signing any litter registrations in any capacity. No offspring of a dog registered in their names (joint or individual ownership) is eligible for registration with UKC. They are barred from entering or participating in any way in any UKC licensed event, including, but not limited to, co-owner, handler, back-up handler, judge, guide, spectator, or UKC licensed official. They are barred from holding office in any UKC approved club or association. No dog registered in their names (joint or individual ownership) may be entered or participate in any way in any UKC licensed event. 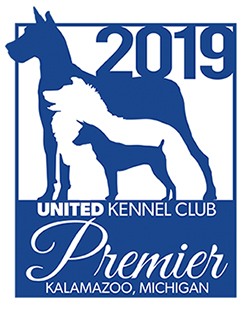 No championship points, wins toward a title, or monetary payouts from any UKC specialty program will be awarded for any dog registered in their names (joint or individual ownership). They are barred from advertising in any UKC publication or UKC internet site. List revised March 27, 2019.